Often program offices ask for folders that are either specific to their particular focus or more generally for the medical center. The majority of the time the standard folder is more than enough; however, in some cases particularly when standard information must be distributed each time, unique booklet folders are called for. Below is an example of such a case as well as the recently redesigned generic version I created. The loss of a loved one is typically hard enough emotionally, and when that stress is compounded by all the business details that are required for survivors to manage can make the grieving process even more difficult. The Decedent Affairs Officer requested a solution to aid in covering those details with family members and do so in a way that conveyed respect and care that made it easier to reference than an assortment of loose photocopies. I designed this booklet with an integrated pocket folder so that family members could keep all their documents and references in one place and that staff could conveniently reference in a standardized manner. The Ralph H. Johnson VA Medical Center had previously produced generic pocket folders, but they were very outdated in a mustard yellow with a burgundy band across the front that included the name of the facility and the letters “VA” in navy and burgundy. 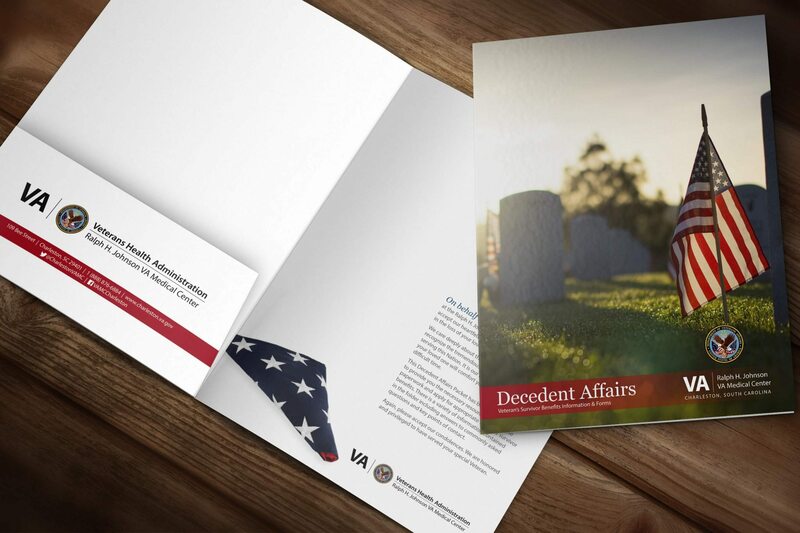 When stock was depleted I developed this modern pocket folder that is branded inside and out with the current VA seal and brand identity colors. It also depicts six care scenes from our clinics that demonstrates the diversity of services provided and population served. 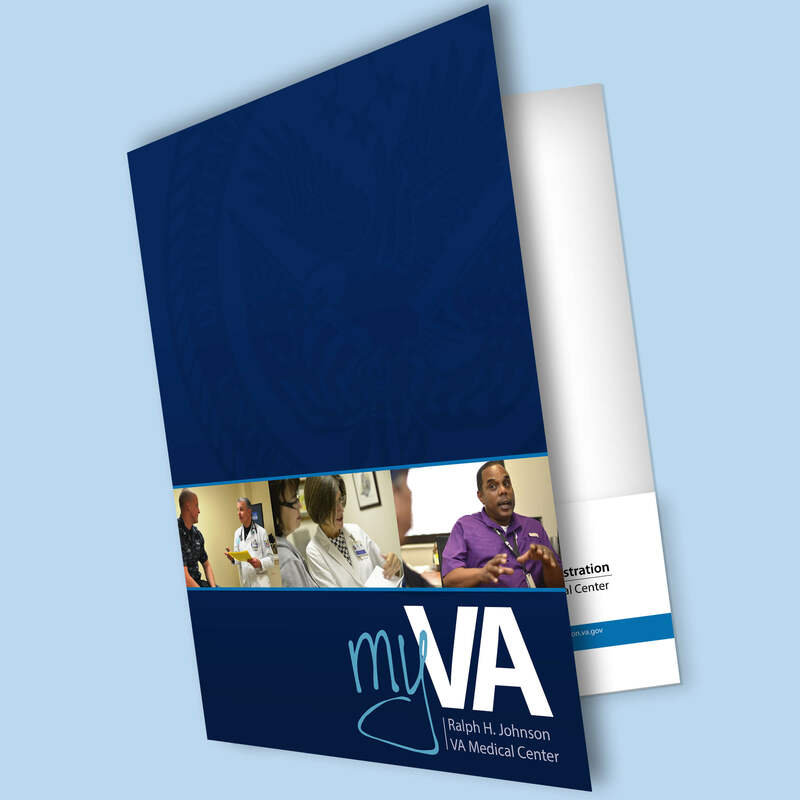 It also is an additional piece of marketing material that is integrated into the larger myVA campaign of Charleston and of VA as a whole.